TIME: Thurs through Sat, taps are open from Noon to 9:00pm. Sun, taps are open from Noon to 7:00pm. HOW MUCH: Free! You heard correctly. Admission into the festival grounds is free. 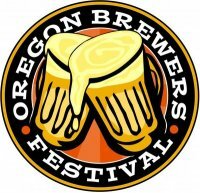 BUT, in order to partake in the beer drinking fun you must purchase a 2012 festival mug for $6.00 and tokens for the tastings are $1.00 each. This year Eighty-Two craft breweries from all over the country will be offering more than 30 styles of handcrafted brews. A Buzz Tent will offer more than 50 rare and specialty beers, and this year will feature the debut of a Sour Tent. The festival takes place right on the waterfront and the light rail is only a block away. There will also be plenty of bicycle parking. I will be there with bells and maybe I will see you there too!